In his recent article “8 Questions the Trump Administration Must Answer Before the Summit With Kim Jong-un,” The Diplomat’s Ankit Panda included the location of the meeting. “Trump should not be willing to sweeten the already-sweet concession of a summit by traveling to North Korean soil to see Kim Jong-un.” The most likely solution to that challenge is Panmunjom, as Panda notes, but should the Trump administration look elsewhere, Mongolia’s capital of Ulaanbaatar emerges as the obvious choice for a meeting location. In his book “Art of the Deal” Donald Trump included a focus on “Enhance your Location” as one of the 11 pathways to successful negotiations. As it now is emerging that a Trump-Kim meeting may still be tied to conditions, it is not unlikely that the location for the meeting is among those conditions. Neutrality. 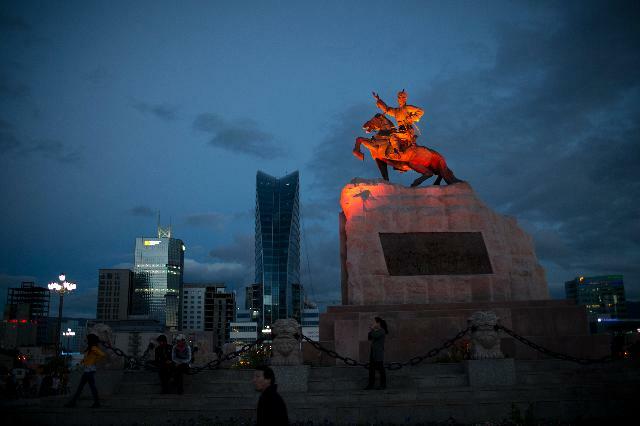 Mongolia has pursued a position of political neutrality or of friendly relations with all its regional neighbors since its democratic revolution in 1990. In 2015, there were even discussions about pursuing a formally neutral status for the country. Friendly relations with the United States. From 1990 on, Mongolia has built friendly relations with the U.S. that have seen many high-level exchanges of official visits, U.S. aid investments, building on the U.S. perception of Mongolia as a scrappy democracy in a tough neighborhood. Friendly relations with the DPRK. Mongolia’s foreign minister D Tsogtbaatar was just in Pyongyang in early February, and North Korea has contracted thousands of workers out to labor in Mongolia over many years. Perhaps most significantly from the DPRK’s perspective, hundreds of children were evacuated to Mongolia during the Korean War and that emotional connection continues. The meeting will take place in Asia. Ulaanbaatar is easily reached by a North Korean delegation, requiring only a flight over Chinese territory or railroad travel via China or Russia. For a U.S. delegation, Ulaanbaatar is almost as equally easily reached from Japan or South Korea, requiring, again, only a flight over Chinese territory. Past interactions. DPRK officials have interacted with third-party governments in the recent past and Mongolia has frequently included North Korea in events that its government has hosted. There have thus been meetings between the Japanese and DPRK governments in Ulaanbaatar in 2007 and 2012. In 2017, the Mongolian government hosted the Ulaanbaatar Dialogue on Northeast Asia. North Korean Deputy Foreign Minister Ri Yong-Ho participated in the meeting and in several quiet bilateral meetings with officials from participating countries. These meetings have been successful because of the level of comfort with Mongolian hosts that DPRK officials have felt. Substantive credibility. Nuclear non-proliferation is among the main issues surrounding a Trump-Kim meeting. Mongolia’s status as a nuclear-free zone was formally recognized in 2012. Ulaanbaatar would be acceptable to U.S. and DPRK allies. Surely, the South Korean government prefers a location that would see them involved more directly, but Mongolia is likely an acceptable compromise. Japan has appreciated Mongolia’s offers to act as a go-between in the past and a relocation of the meeting away from the Korean peninsula may offer more opportunities for the abductee issue to remain on the agenda. It seems unclear whether Presidents Xi or Putin would have a preference for any particular location, but Ulaanbaatar is likely acceptable to both. Capacity. While Ulaanbaatar would be challenged by the hundreds of officials that would be required for the of a meeting, similar meetings have been held there in the past, most recently the Asia Europe Meeting in summer 2016. Note that tourism flows to Ulaanbaatar at the end of an extremely cold winter there in May are limited, so hotels and airplanes would likely be able to accommodate the visiting press corps as well. Barring any intervention from Dennis Rodman, it would seem that any search for a meeting location beyond Panmunjom points to Ulaanbaatar. Dr. Julian Dierkes is an associate professor at the Institute of Asian Research of the University of British Columbia (UBC) in Vancouver, Canada where he teaches in the Master of Public Policy and Global Affairs. He and Mendee blog at http://blogs.ubc.ca.mongolia. Follow him on Twitter @jdierkes. Mendee Jargalsaikhan is a PhD candidate in Political Science at the University of British Columbia. His dissertation examines the development of Mongolia’s democracy. Follow him @MendeeJ.